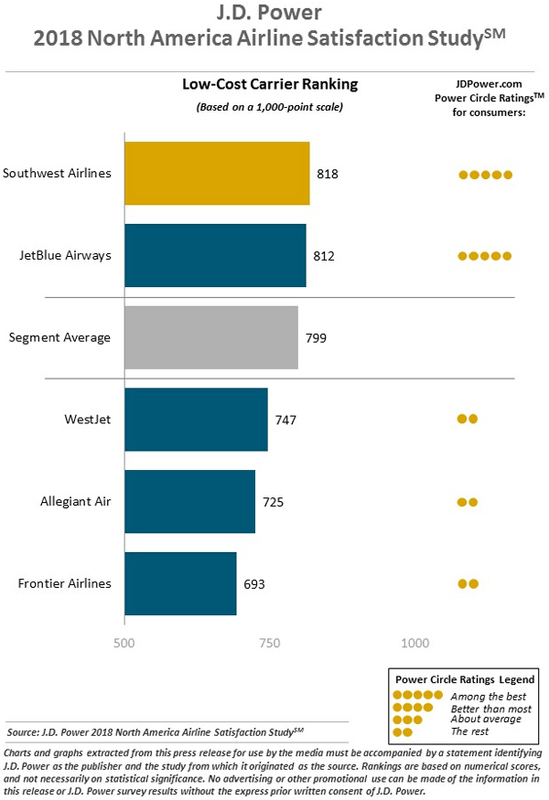 Airline investments in newer planes, improved customer satisfaction with overhead storage compartments and cheaper fares have driven a seventh straight year of improved customer satisfaction, according to the J.D. 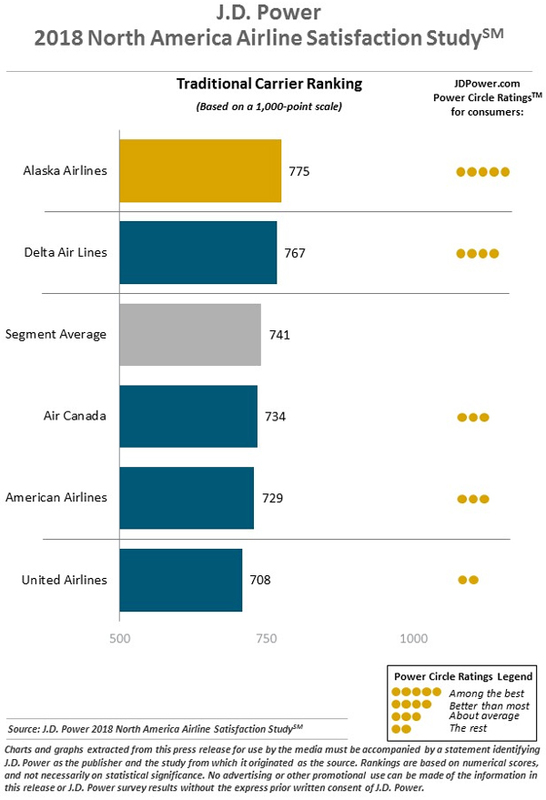 Power 2018 North America Airline Satisfaction Study.SM. Overall passenger satisfaction with airlines improves to 762 (on a 1,000-point scale) in 2018, a record high. "With a single exception, airlines in North America show consistent improvements across all the factors, from booking a ticket to handling luggage," said Michael Taylor, Travel Practice Lead at J.D. Power. "Operationally, it's never been a better time to fly. Passengers perceive greater value in ticket prices, checking in has never been easier, passengers are more satisfied with the actual aircraft and airlines have improved their baggage-handling performance. Copyright 2018 J.D. Power. All rights reserved. From http://www.jdpower.com.